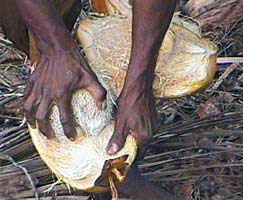 Coco peat is the leftover material after the fibers have been removed from the outermost shell (bolster) of the coconut. CANNA, a notorious pioneer, was impressed by the potentials of this product. After many years of research, CANNA successfully created a new medium complete with a special COCO nutrient solution. During its launch, CANNA was the first company to introduce RHP certified COCO to the market. It took 10 centuries to make this waste the medium of the future. The first description of the coco process dates from the 11th century and was recorded by Arabian traders. In 1290, Marco Polo described the process of extracting fibers from coconuts. For centuries, this process went unchanged. Coco peat was a waste product from factories that used coco fiber as a raw material for making sailing ropes, chair seats and mattress fillings. In 1862, John Lindeley, botanist, gardener and secretary of the Royal Horticultural Society, introduced coco peat as a growing medium to English horticulture. After successful experiments in the gardens of the Society, complications appeared due to harmful substances naturally present in the material and the fact that knowledge regarding the application was still in its infancy. Ultimately its quality caused too many problems for various crops in such a way that the use of coco declined in agriculture. It took another 100 years before coco was rediscovered as a potential growing medium. New techniques and analysis methods meant coco could be turned into a valuable growing medium. From this moment it became possible to grow many crops successfully on coco. After its introduction to rose cultivation in 1986, it became clear that coco could be an ideal growing medium for root development, resulting in stronger crops. Unfortunately, the success with roses could not be repeated with all crops. The quality on the coco material was not constant and there was an enormous lack of coco cultivation knowledge. In 1993 the need for alternatives for peat moss and other media, like rockwool, increased, CANNA started their first experiments with coco. This did not directly result in a marketable product, the insights of “specialists” appeared to be conflicting and there was no answer to practical coco cultivation problems. To determine the coco potentials in an objective way, the only option for CANNA was to do the pioneering work itself. Two years later, CANNA launched “CANNA COCO and this initiated the first COCO product on the consumer market (Germany, 1996). After a successful introduction of COCO to the German market, CANNA COCO was launched in the Netherlands in 1997. After the results had been published, the rise of COCO was unstoppable and the market share in the horticultural sector increased tremendously. 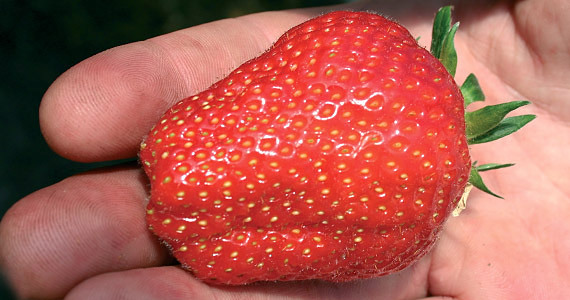 At the end of 2000, almost 35% of the rose acreage and 40% of the strawberry acreage in the Netherlands was cultivated on COCO substrate. We can confirm that COCO has acquired a definitive place among the other mediums. CANNA sees a growth pattern of 15 % per annum till 2015 for the total COCO market. We believe that for an increased number of potting soil mixtures, the characteristics of COCO are favorable due to the ease of rooting, the large water-retaining capacity in combination with a good drainage, and the high stability of the material. At the end of the nineties, the former Grow Center growshop in Schlieren (close to Zürich) was one of the first to show interest in CANNA COCO at the time of its introduction. Patrick and Jörg, two employees from the very beginning of the store, took over the business and continued under the name Growhaus. Since the launch of CANNA’s COCO substrate, they have entirely changed their minds about this tropical fiber. Until recently, the cellar of the business contained a trial set-up, which was used to compare various popular mediums with each other. After intensive tests, Patrick and Jörg confirmed that CANNA COCO was the most efficient medium. “CANNA is our favorite supplier”, said Patrick frankly. This professional, who won his spurs at the legendary Gärtnerei in Enetbrugg, praises the consistently high quality of CANNA’s product range. “But especially the ease-of-use makes CANNA COCO superior over other media. Cut the slabs, soak for an hour, and it’s ready. Although we have customers using the same slab six times, we set the limit at three harvests”, Patrick says with a smile on his face. 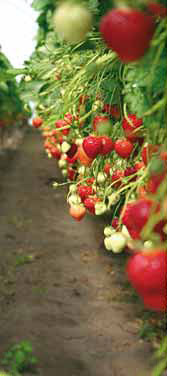 In addition, the Growhaus team recognizes a higher resistance against soil fungi. Enough reason for successful businessmen ‘to push’ CANNA COCO and its associated nutrient range to its customers. Depending on the plant species, an average yield increase of 10% is seen as easily achievable with CANNA COCO for the average Growhaus gardener.